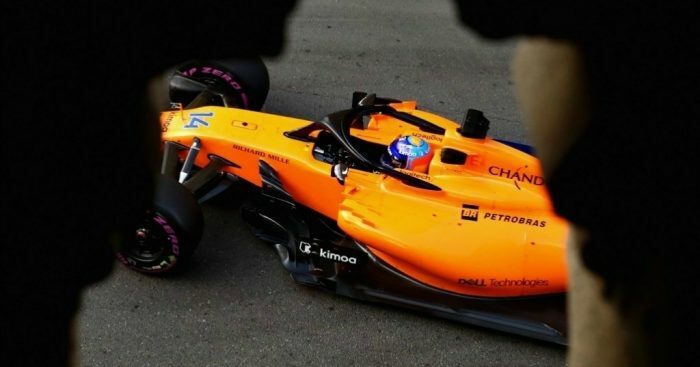 Fernando Alonso has said McLaren still have lots of work to do to improve in qualifying after only managing a familiar P13 in Baku. Alonso will actually move up a place to P12 because of Nico Hulkenberg's five-place grid penalty, but McLaren are still proving to be no match for Red Bull or Renault despite having the same engine as them. “Qualifying still isn’t the strongest part of our weekend," Alonso said. "But a lot usually happens during a street race, and at this track in particular. “There’s no room for mistakes around this circuit: it’s very windy, dusty, the walls are very close, and you cannot push or over-drive the car. "It’s also a mentally tough race, so I think tomorrow is going to be both crazy and fun at the same time. “This weekend, we seem to have improved our top-speed compared to previous races, but we’ve also compromised some grip in the corners. "Still, during Q2, the wind picked up a little, and we were losing speed along the straights due to the headwind. "Tomorrow, that wind should be even stronger, so it’s going to be important to race among a group of cars to stay in the fight. “This is the third time in a row where I’ve qualified 13th, and we normally seem to score good points from that position. It was another disappointing qualifying for Stoffel Vandoorne, who has struggled all weekend thus far and will start down in P16 after getting knocked out in Q1. “It’s been a bit of a tough weekend for me," Vandoorne admitted. “During practice, it seemed like, whenever I was on-track, I was in the wrong place, or encountered a yellow-flag at the wrong time. In fact, Q1 was probably the first session this weekend where I finally managed to complete a quick-lap. “In the end, I was much happier with the car; we still lack a bit of top speed, so we really need to follow another car to benefit from their speed, and I missed out on that on my final lap. “Still, our race performance looks better than qualifying. We’ve seen so many incidents under braking this weekend; and that’s a real strength of our car, it feels very good under braking, and that’s a key requirement for the race.